With many differing views on what constitutes an attractive organisational culture, it looks like the issue on company culture is not as straightforward as we think. In fact, a study commissioned by The Workforce Institute at Kronos Incorporated and WorkplaceTrends.com found that employees, managers and HR often don’t see eye to eye when it comes to the attributes that define and impact a company culture. 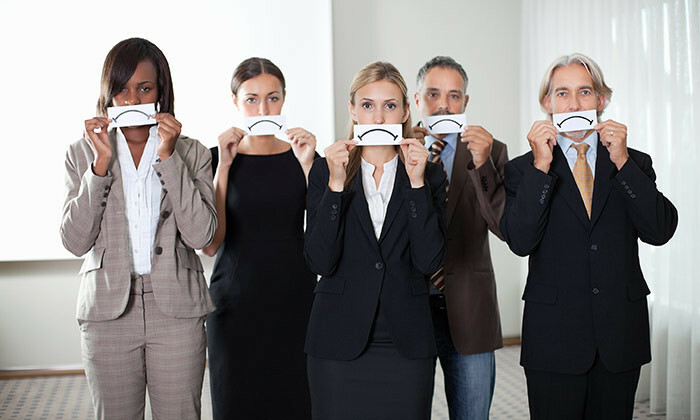 While HR and people managers thought that “a high-stress environment” and “company growth” were the two elements with the largest negative impact on workplace culture, employees felt that “not having enough staff to support goals,” “unhappy/disengaged workers who poison the well,” and “poor employee/manager relationships” were the biggest barriers to maintaining a positive company culture. As a result, the study added that in order to reduce the perceived stress that the office environment causes, HR should place a greater focus on hiring the right people, appropriately staffing and ensuring that managers have proper management training to help their teams thrive. While staff listed the three most important attributes as “pay” (50%), “coworkers who respect and support one another” (42%), and “work-life balance” (40%), HR believed that “managers and executives leading by example,” “employee benefits,” and a “shared mission and values” were the things that mattered most to employees. Managers, on the other hand, thought that “managers and executives leading by example,” a “shared mission and values,” and “emphasis on taking care of our customers” would top employees’ lists. Additionally, only 25% of HR and 29% of managers thought pay would be a top concern for how staff view workplace culture. Joyce Maroney, director, The Workforce Institute at Kronos said: “It is surprising, and frankly alarming, to see such a wide gap between how employees view and experience workplace culture versus their managers and HR professionals. “There is very little common ground concerning who defines the culture, what is important to creating a winning culture, and what can ruin it. In fact, HR leaders, people managers and employees could not even agree on the definition of a workplace culture – and who is responsible for it. ALSO READ: Improving office culture with… a stocked fridge? A third of HR was of the opinion that the head of HR defines the culture, while only 10% of managers and three percent of employees agreed. On the managers’ side, 26% of them said their executive team defines the culture, while only 11% of HR and 9% of employees felt the same. From the employees’ point of view, 29% said that they are the ones who define workplace culture, while only 9% of HR and 13% of managers agreed. Interestingly, four in ten Millennial employees felt that employees define the culture, indicating an evolving view of workplace culture where employees feel they have more power. Worryingly, 28% of employees feel that no one defines the workplace culture, whereas only 5% of HR professionals and seven percent of managers feel this way. When asked what is done to strengthen culture, HR and managers both listed “training and development” (72% and 61% respectively) and “getting feedback from employees and acting on it” (45% and 46%) as their two top strategies. Minister M. Kulasegaran said that officers from DOSH and the Labour Department are already at the site to carry out investigations..
Are staff faking their working hours? 31% of male employees admit they have deceived their managers into believing they were working more. How did they get away with it..